With over 18 years event experience we have a thorough understanding of what it takes to implement and deliver a public or private communication event to the highest standards. Whether it’s Meetings and Conferences, Activity Days or Promotional Events, we will provide effective and original solutions, working consistently and tirelessly to ensure your key messages are conveyed throughout. A survey, carried out by the British Chambers of Commerce IN 2016-2017, found that COST was the main reason why small and medium businesses chose not to advertise. Yet three-quarters of SMEs believed they would see benefits if they were to increase their advertising. So how can you get your company in front of potential customers, at an affordable cost that does not break the bank and how do you avoid wasted advertising. Wasted advertising is where your marketing message is not targeted, you are speaking to the wrong people, perhaps using the wrong language. OK budget are tight and your campaign needs to succeed. 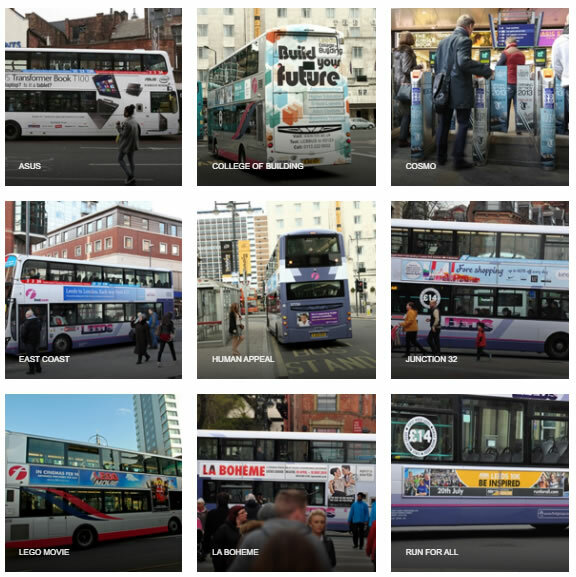 If your business has a local factor then you may want to consider bus advertising also known as OOH or outdoor advertising. Advantages over radio and television is cost and prep. There is no need for expensive production time or expensive creative agency time. The adverts can be both static and digital. You can target audiences by location, gender, income age, home owner, not home-owner the list is endless. You can control costs by know how many EYEBALLS are available to see your advert on any given bus route. If it is laser focused, cheap and effective ads you are after then campaigns start from £10,000 and there are companies that will do everything for you include designs and concepts. They already have the data and where and when to advertise and can accommodate bus and train advertising across the whole of the UK. The best and the largest is Exterion Media, they have a useful section on their website NEW TO OOH which I would recommend. Alternative companies would include 8Outdoor and MultiMedia. Author: Bendon Cook. Brendon is an experienced marketeer and journalist.